The Giorgio Armani EFFETTO NUDO Spring 2014 collection consisted of three rouge d'armani sheer lipsticks, three flash lacquer glosses, three eyeliners, the Belladonna highlight palette, and a new Fluid Sheer in Radiant Pigment. Another item from this collection the Luminessence CC, a color control bright moisturizer sunscreen, will not be available until later this year in March. 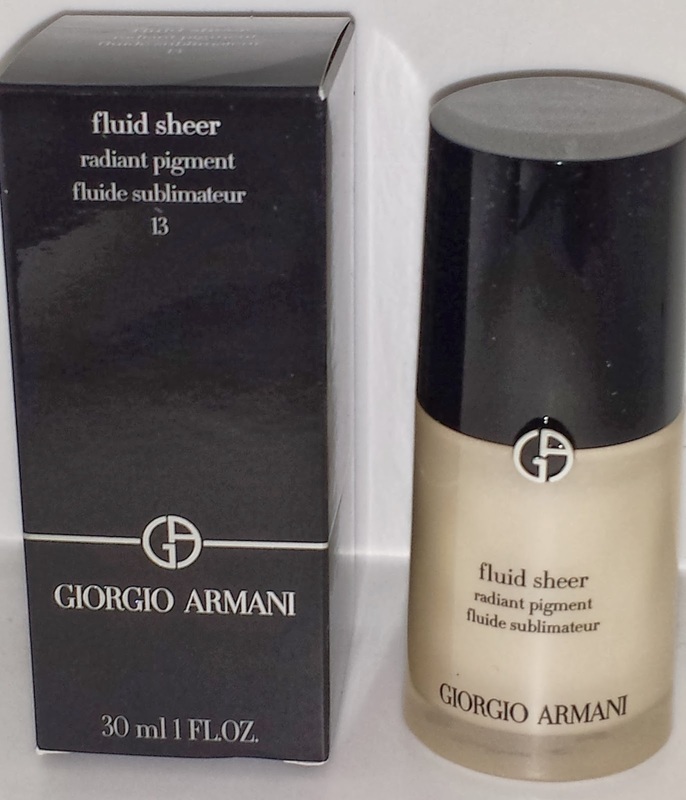 I love the Giorgio Armani fluid sheers, I've purchased #8 (check it out here) and #9 (check it out here) and have had fantastic results and most recently I repurchased #2 and #7 (I will review both at a later time). 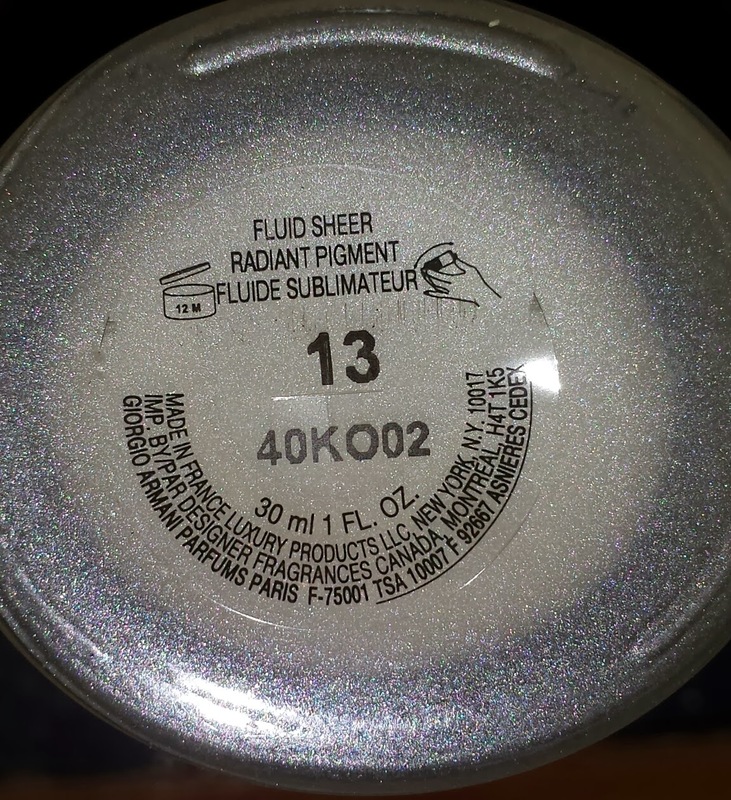 So I was super excited when I heard the news about a new fluid sheer - #13 Radiant pigment. It is said to contain varying gold and rose kaleidoscope pearls that instantly warm up tired sallow skin. It acts as a filler and will magically smooth and freshen the skin leaving behind a luminous complexion. This week I have been trying to incorporate the Radiant pigment into my beauty routine. I have worn it as a highlight color on my upper cheekbones, my brow bone and my cupids bow. I have tried mixing it with my foundation for an all-over glow and I have used it to contour different areas of my face. One thing I have noticed **Be sure to shake it before using to blend the formula! The formula is rather sheer and not as thick as the other fluid sheers. It doesn't have an odor or scent but in the bottle it had a slight plastic smell. 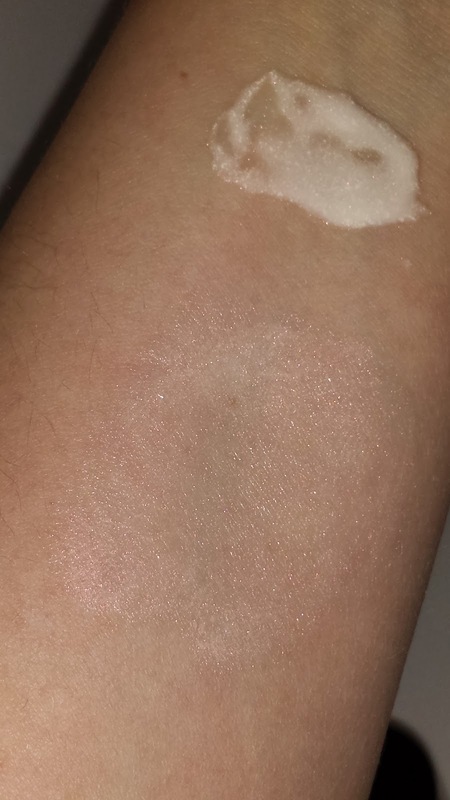 When dispensed the Radiant pigment has a milky white look but blended it took on a sheer pale pink pearlescent sheen. 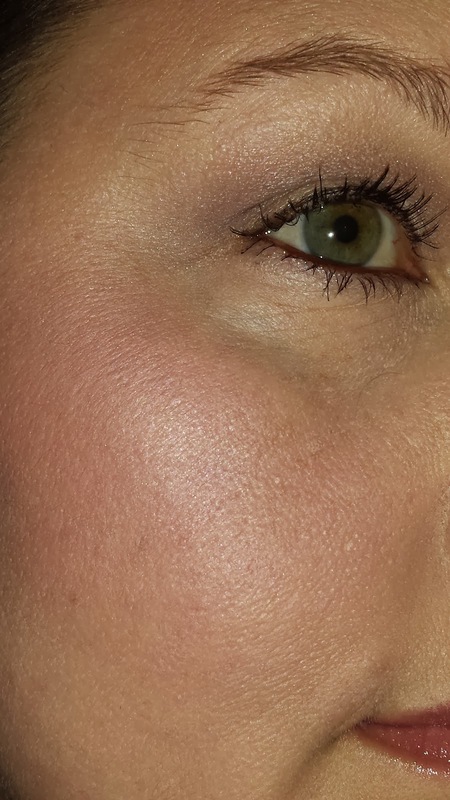 I found the Radiant pigment worked best when blended with other products rather than worn alone. The only exception was my brow bone and cupids bow - it gave both of those areas a subtle glowing sheen. Other areas, when worn alone, it just didn't blend in as easily. 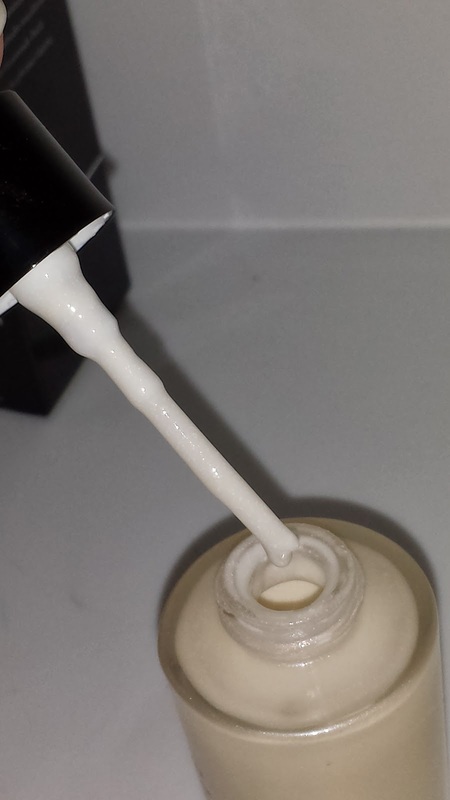 When worn over top of my foundation it left streaks and splotches. However when I wore the Radiant pigment mixed in with my foundation (it did lighten the foundation up just a bit) it seemed to melt right into my skin. It smoothed over my fine lines and left me with a dewy complexion. As a highlighter, I applied both the Radiant pigment along with my highlight powder together onto my upper cheekbones, it lent definition to my cheeks and seemed to accentuate my face with a subtle glow from within. 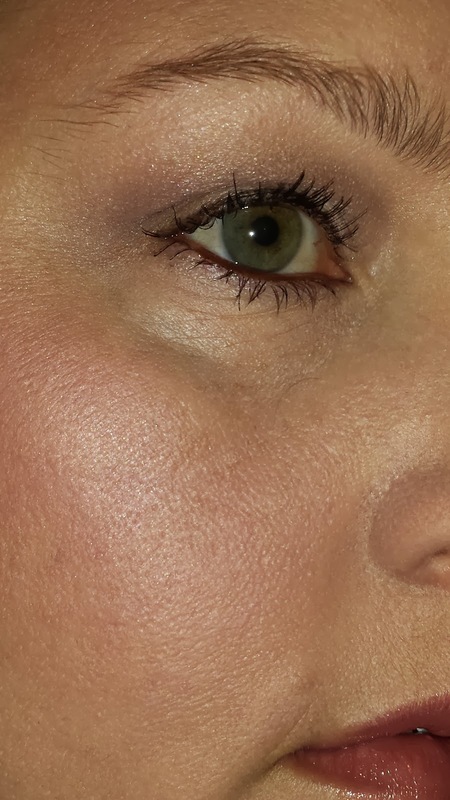 The Radiant pigment fluid sheer has really exceeded my expectations. It took a little trial and error to see what worked best for me but it has been worth it. It is definitely a "Must Buy" and a "Holy Grail" product to add to your beauty collection. 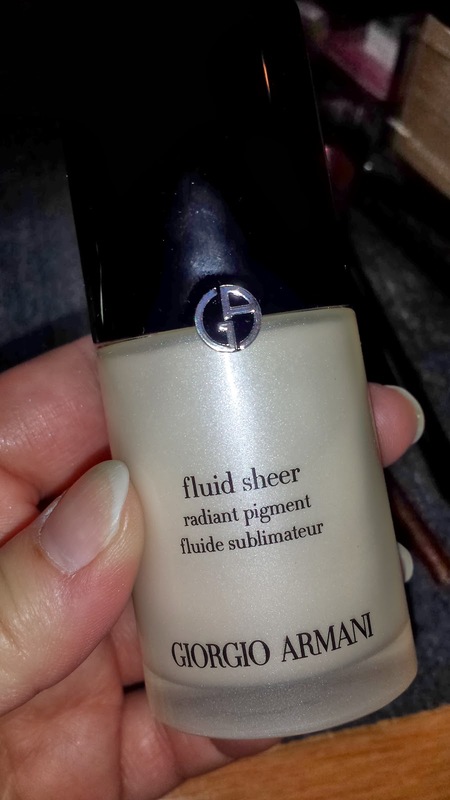 Radiant Pigment Fluid Sheer is currently available on the Giorgio Armani beauty website. It is priced at $62.00 USD and it contains 1 fl. oz. of product. on my upper cheek and brow bone.